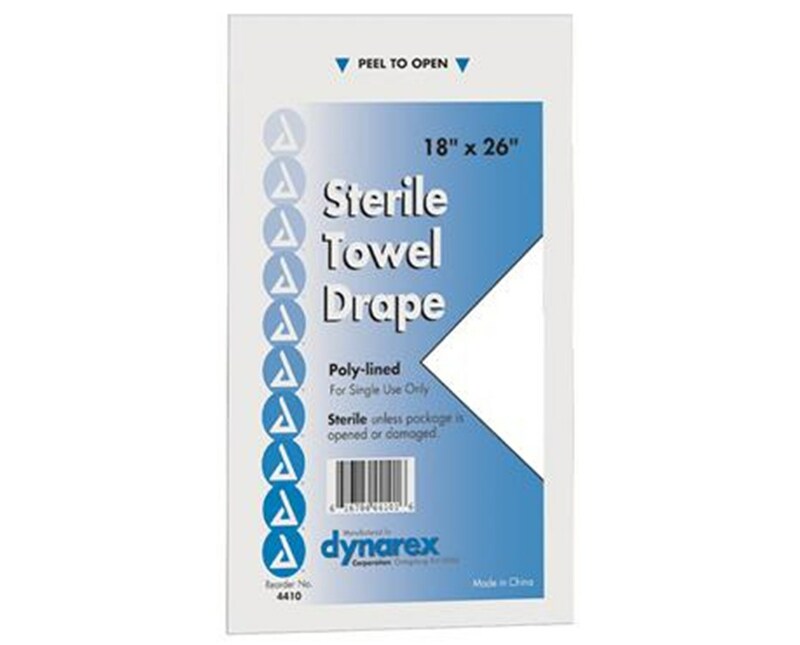 Dynarex 4410 Towel Drape Sterile 18" x 26"
Overview for Dynarex 4410 Towel Drape Sterile 18" x 26"
Dynarex Sterile Towel Drape is for use in minor surgical, non-surgical, or therapeutic procedures where a sterile field or drape must be maintained. The three ply constrution is highly absorbent and offers patient protection by preventing possible moisture or bacteria migration. 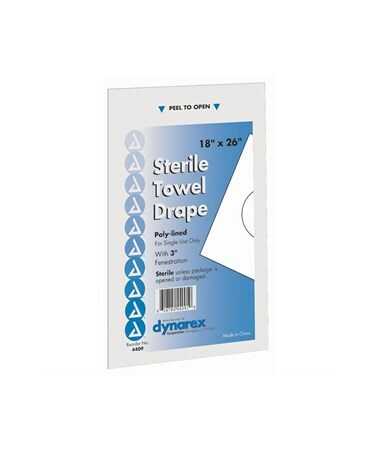 Dynarex Sterile Towel Drapes offer cost cutting measures by eliminating all costs associated with cloth towels or drapes. Available in Fenestrated and Plain. 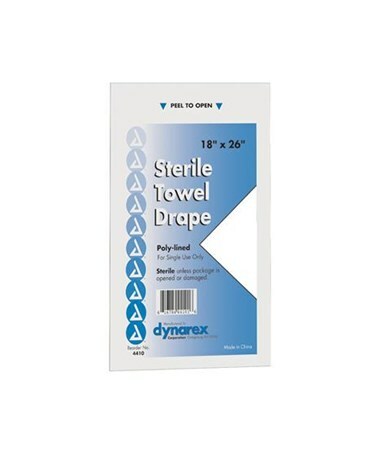 Features for Dynarex 4410 Towel Drape Sterile 18" x 26"
Specifications for Dynarex 4410 Towel Drape Sterile 18" x 26"
Return Policy for Dynarex 4410 Towel Drape Sterile 18" x 26"